Yellow Gold Farm is a unique wedding venue in the Willamette Valley conveniently located off I-5 and Highway 20 between Albany and Lebanon. Yellow Gold Farm offers the perfect opportunity for you and your guests to experience this breathtaking six-acre property. 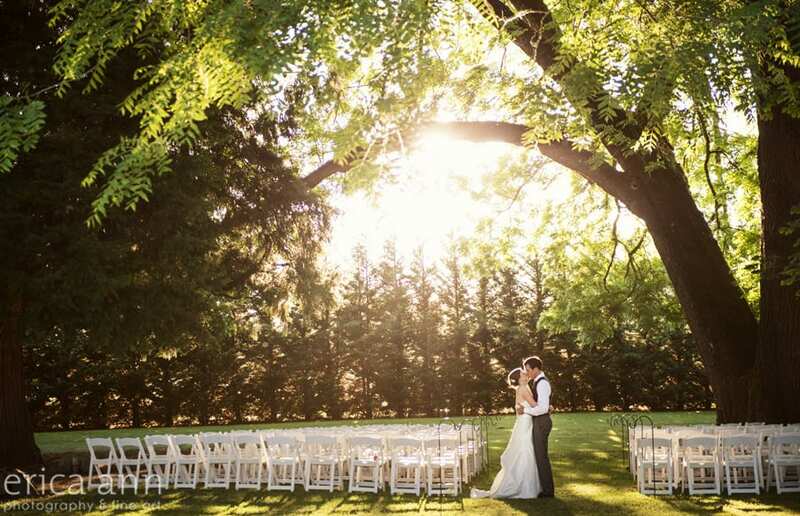 Picture your wedding amidst the beautiful old-growth trees that create an idyllic natural setting perfect for a peaceful wedding and works well to provide shade from the sun in warmer months. Or you may choose to have your wedding around the large gazebo or archway with drinks by the waterfall pond. The large, enclosed pavilion can also be your choice for an indoor wedding. A catering kitchen, big screen TV, and indoor bathrooms are just a few of the amenities you can use in the pavilion, making your special occasion unforgettable in any weather. 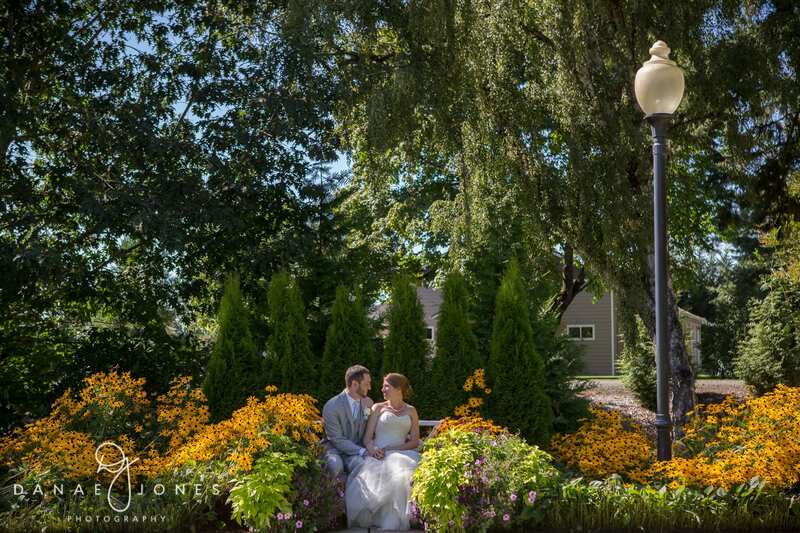 At Yellow Gold Farm you can enjoy an array of seasonal flowers that are in full bloom for most of the year, making a stunning background for your wedding pictures. You can also enjoy and prepare for your wedding day in the bridal cottage and groom’s quarters. Whether your guest list is intimate or grand, Yellow Gold Farm can accommodate for everything you may need. You will fall in love with this wooded and elegant country venue. The grounds and amenities of Yellow Gold Farm are sure to exceed your expectations in every way. For a unique and special celebration, treat yourself to an event at Yellow Gold Farm.